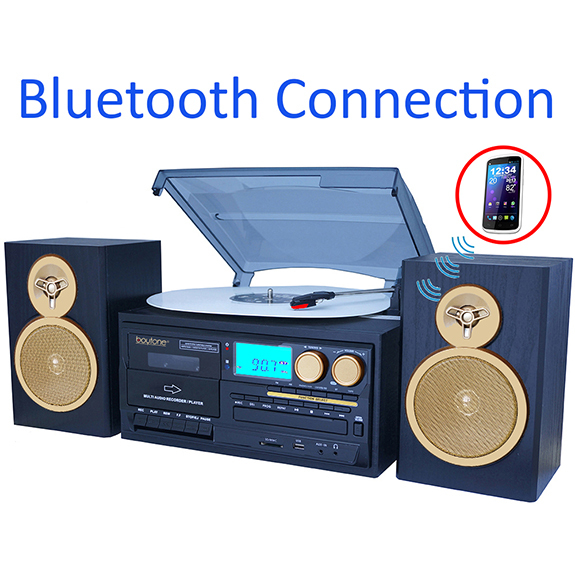 8-in-1 Bluetooth System Plays Vinyl record player turntable, solid wood, AM/FM Radio / USB/SD/Cassette and CD's. 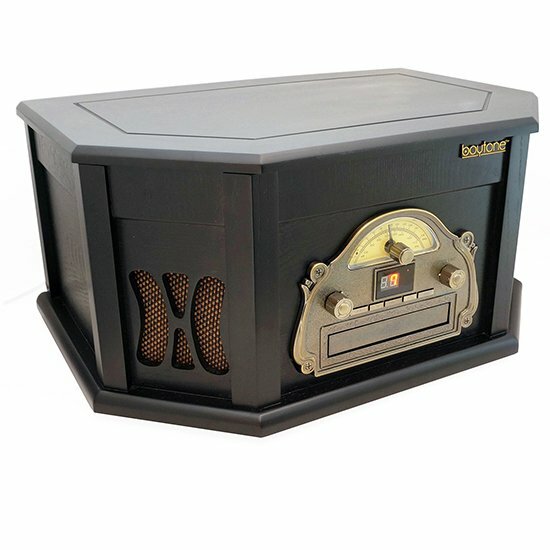 Classic Vintage Design with Elegant real wood, Pine wood Finish. Old Style Backlit Rotary Tuner Dial and Knobs. 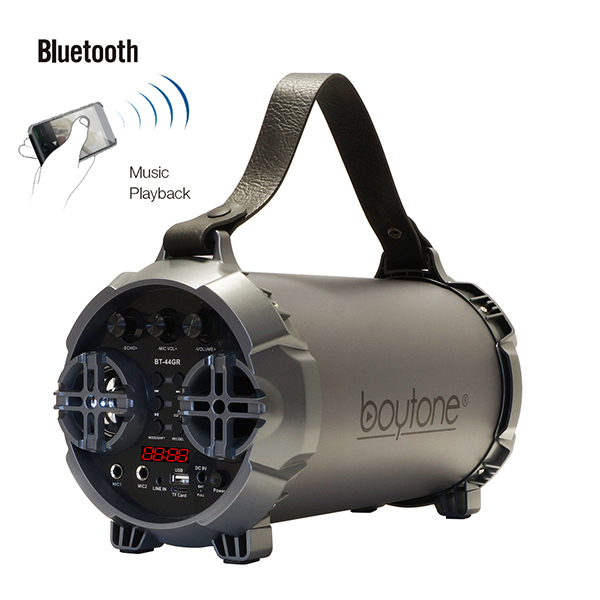 Dual Full Range Dynamic Speakers. 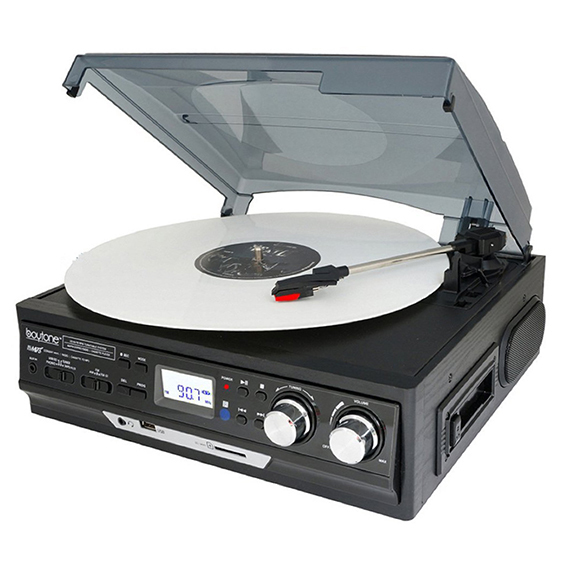 Product Description Enjoy an amazing audio journey with a classic design. 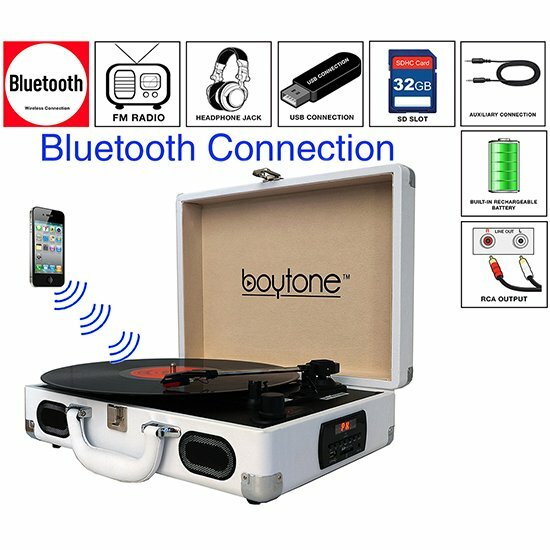 Play your entire collection of vinyl records, CDs, AM/FM radio and even connect your Smartphone or tablet. 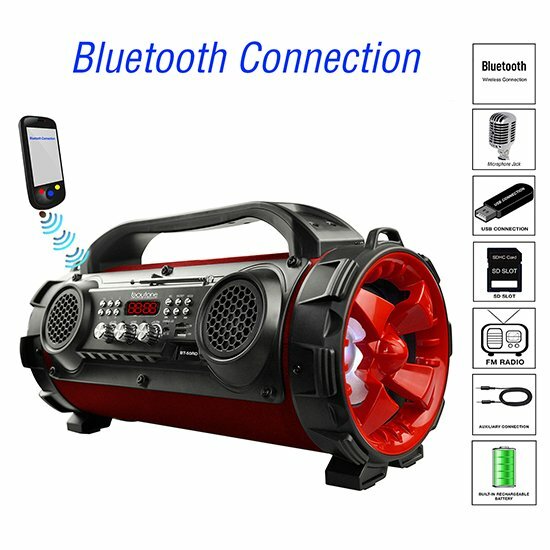 You have many options with this unique 7-in-1 system. 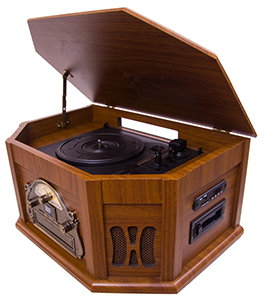 The old-fashioned look will match any decor, while the rich sound from the speakers will play in crystal clarity. 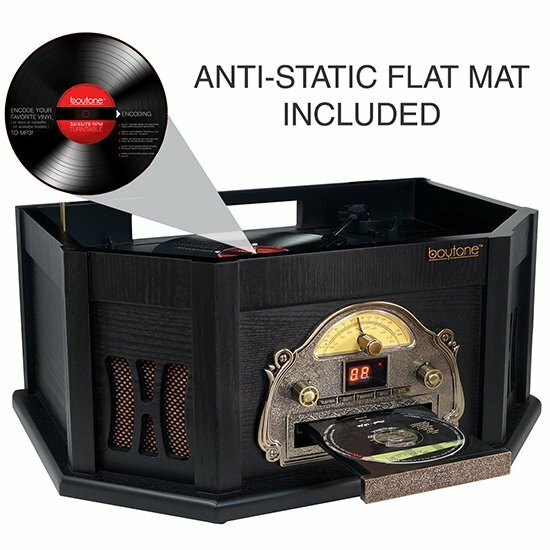 7-in-1 System Plays Vinyl Records, Cassette, AM/FM Radio, and CDs Sit back and relax while you listen to music from your record collection, CDs, or even the radio. 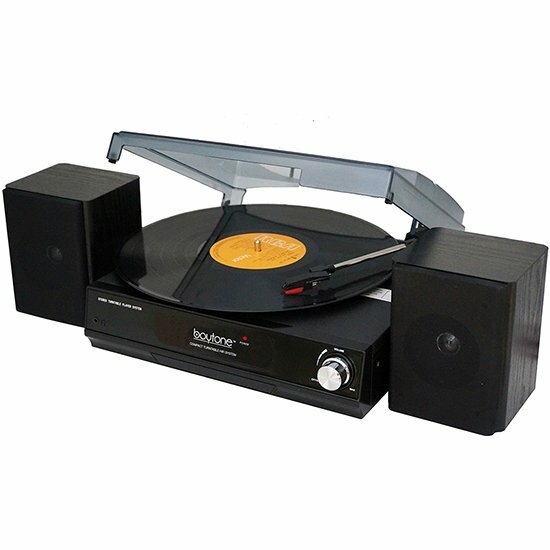 The belt-driven turntable plays 7, 10 and 12" records at three speeds of 33 1/3, 45 and 78 revolutions/minute. 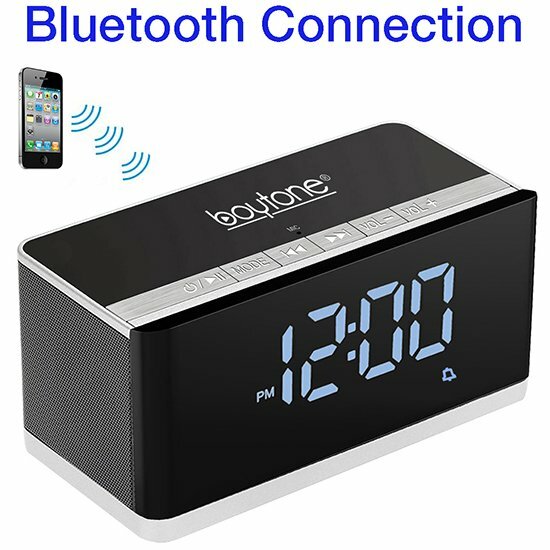 You can also listen to your favorite radio station with the AM/FM tuner. 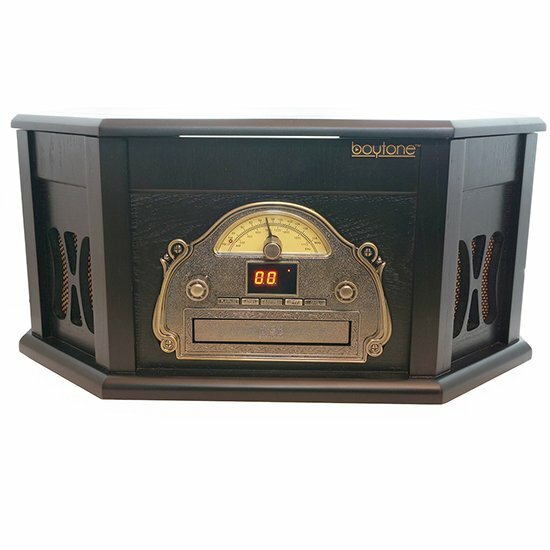 Classic Vintage Design with Wood Finish Not only is this system great for entertainment purposes, the old-fashioned look of this music player also makes it a great addition to any room in your home. 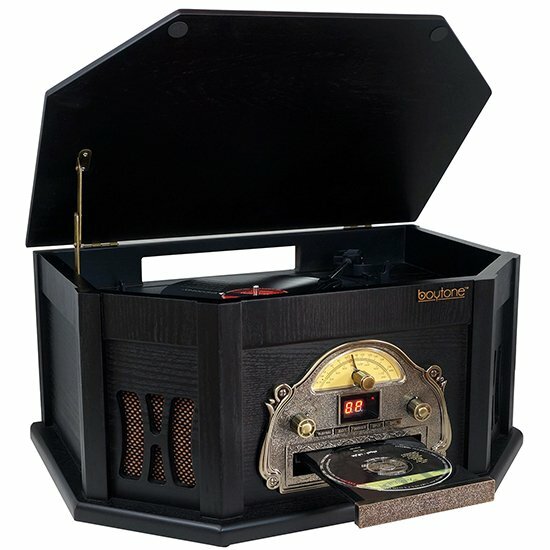 The wood finish and classical design will complement your decor perfectly, and will bring you back to a time when just a penny would give you a melody and a dance. Old Style Backlit Rotary Tuner Dial and Knobs the radio tuner on this stereo system makes it look like an old-fashioned radio, consisting of a rotary control knob and analog radio dial. The dial is even backlit to give it an authentic look, and allows you to easily see the controls in the dark. 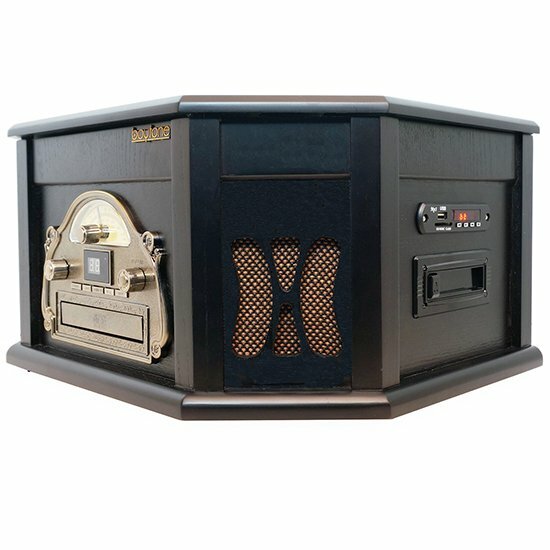 Dual Full Range Dynamic Speakers The powerful speakers in this system allow for high fidelity sound, whether you're listening to your favorite record, CD, or radio station. Black color. 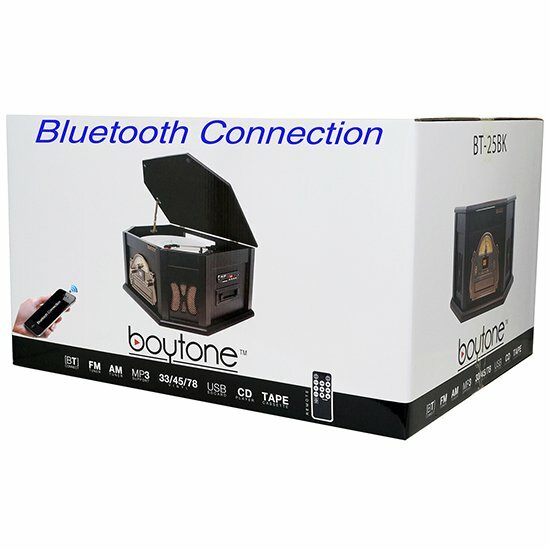 Front loading, single CD, Drawer type - Auto return - Remote control for CD/USB, solid natural wood. Black color.